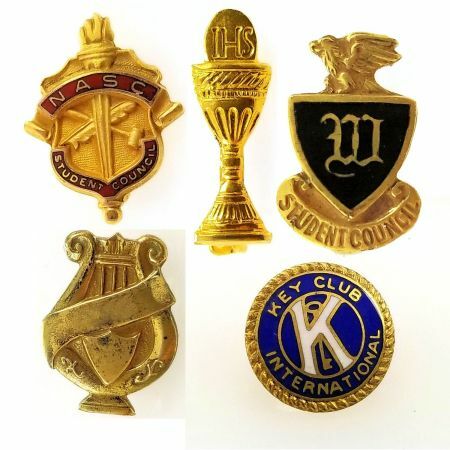 Description: A lot of 5 vintage gold filled school achievement award pins, two are enameled. Student Council, International Honor Society, Key Club and Band. Someone must have excelled in their secondary education as these all came from the same estate sale are are from the 1970's. Measurements: THe largest is 3/4" in length with the smallest being 3/8".